Since our last email, the HMC has been busy. We’ve celebrated the 60th anniversary of the club, held the annual general meeting (AGM) as well as held events in Cornwall and the lake district. The HMC turned 60 in April and we had a marvellous party to see in the next 60 years. We’ve held trips to Wasdale and Cornwall over the May bank holidays. This is our usual monthly get together to welcome new members, talk about upcoming events and share stories of our latest adventures. The most magnificent views across the Wye Valley into Wales ‘God’s own land’ (as the old saying goes). Climbing – The campsite is located within easy walking distance of Shorn Cliff and within a short drive of Tintern Quarry, Ban-y-Gor, Wintour’s Leap and Wynd Cliff. Symonds Yat is about 35 minutes drive away. Walking – Offa’s Dyke, Wye Valley walk, Tintern Abbey all within walking distance. Symonds Yat and the Forest of Dean are about 35 minutes drive. Mountain Biking – The Forest of Dean is about 35 minutes drive. Penstar is ideally located to accommodate groups requiring a wide range of activities without having to travel too far each day. Pen-Y-Fan (886m) and Corn Du (873m) are the highest summits in the National Park and are directly accessible from Penstar. Craig Cerrig-gleisiad National Nature Reserve is easily reached by following the Taff Trail and is a good example of Old Red Sandstone escarpment. There are glacial features such as moraines and scree. Brecon is easily reached by car or on foot via the Taff trail. Perfectly placed for many varied activities in the centre of the Peak District, Walking, Cragging and MBK. Staying at Hardhurst Farm Campsite with good facilities: toilets, hot showers, washing up sinks, farm has a cafe that does excellent breakfasts, pub staggering distance away also does good food. Places available for 10 tents. Reservation required as limited space, please book per tent, and £7 per person per night to be paid individually on arrival at Farm. Happy Birthday to the HMC. In just under two weeks time the HMC is celebrating its 60th anniversary on Saturday 21 April. We’ve been working hard to invite as many of the past and present members as possible who have all contributed to the success of the club over the last 60 years. If you have not yet booked your ticket to this celebration please do check the details below and click on the link. Its going to be a great evening. As well as lots more exciting trips planned in the next couple of months we also have the club AGM on 19 April where the current committee makes its round up of the last year. This is your opportunity to have your say on how the club is run and we will be electing position for Chair, Treasurer and Secretary. There are also support positions available so if you want to help out with the running of the club and can spare some time, why not put yourself forward? The HMC AGM is coming up on 19 April. Have your say on how the club is run and run for a committee position? That’s it for now….We do hope to see you at the AGM and the HMC 60th birthday party. We’ve had a great start to 2018 with a wonderful trip to the hills of the Lake District in January. We have lots more exciting trips planned and a special event in April. Read all about our upcoming events below. Do I need crampons for my winter walk? Breamar Scotland Easter getaway – 5 days in the Scottish mountains. In case you didn’t already know, the HMC is 60 years old in 2018. Hurrah! To help us mark this exciting milestone, the HMC invites all current and past members to a social event on Saturday 21 April at the Crabtree Fields Scout Headquarters, Crabtree Fields, Waldegrave Park, Harpenden, AL5 5SF, starting at 7pm. The event will include a buffet (from Waitrose…..I know…..good huh?) and the HMC has also hired a band, the Jig’n’reels to entertain us with Scottish country dance and ceilidh to get us in the mountain mood. There is a small charge of £30pp to cover costs for the event. 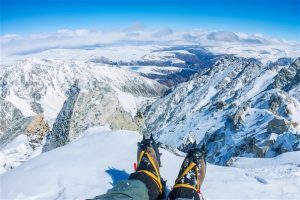 Do I need crampons for a walk in winter conditions? There’s no definitive answer, but if you’re going for anything more adventurous than a winter walk on the beach, then the answer is: ‘Yes, probably.’ Click here to read more from the BMC. The hut Clwt-y-Bel is an old converted cottage near the small village of Deiniolen situated between Llanberis and Bethesda. The hut sleeps 18 in three bedrooms with bunk beds and has two toilets and a hot shower. The kitchen has all the usual facilities to cater for 18 people. The hut is a great base for our members to explore Snowdonia National Park. Small number of places still available. The Banff mountain film festival returns to the UK showing a collection of the latest and best films from the world’s most prestigious mountain film festival. The BMFF will also be shown in London at the Union Chapel in Islington from 13th to 24th March. This year the annual dinner weekend meet will be in The Peak District in the Fallcliffe Hut. Climbing and walking during the day and on Saturday night will either do a group meal in the hut, or book a meal in a pub/restaurant in Hathersage. We have booked the Plough Inn which has a great place, with fantastic food, for details see https://www.theploughinn-hathersage.co.uk/ (note – this isn’t included in the cost of the meet). In his brand new show, Psychovertical: A Higher Education, Andy Kirkpatrick looks back at forty years of climbing and adventures, from the Alps to Patagonia, Yosemite to Greenland, a story of all the things that make life amazing. Click here for more information. From 1st January, your HMC subscription will be due in order to continue your existing membership of the club. – sending a cheque made payable to the Hertfordshire Mountaineering Club (not HMC) to the treasurer or secretary. – cash given to committee members at the pub socials. Please note that if any of your contact or address details have changed over the last 12 months, please complete a HMC membership form providing your new details and send it to the Secretary together with your membership fee. Click here to download a Membership form. IMPORTANT: Not updating your details with the HMC Secretary could invalidate any insurance policy you have with the BMC. A window of three months is open to renew your membership until 31 March to coincide with the HMC’s requirement to update subscription fees to the BMC each quarter. Please note that in order to receive your Spring edition of the BMC magazine, Summit, please renew your membership by the end of February 2017. As a demonstration of support for our mountain rescue services in 2017, the HMC is offering the option to make an additional discretionary contribution of £3 as part of the membership renewal which will be given to a nominated mountain rescue charity. The contribution will be entirely optional. If you wish to make a contribution please add £3 to your membership fee. We look forward to seeing you all return for another great year of adventure in the mountains in 2018. I hope you’ve all had an excellent Christmas and New Year. The HMC has some exciting destinations for the winter months coming up to test out your winter conditioning and equipment. Read all about our upcoming events below. Next event is Little Langdale Cottage on 6-7 January. Read about other exciting events planned in 2018. Heading for the hills this winter? Whether you’re a seasoned winter warrior or just taking your first icy steps, we’ve got a mountain of essential skills & equipment advice on the BMC website. The hut Clwt-y-Bel is an old converted cottage near the small village of Deiniolen situated between Llanberis and Bethesda. The hut sleeps 18 in three bedrooms with bunk beds and has two toilets and a hot shower. The kitchen has all the usual facilities to cater for 18 people. The hut is a great base for our members to explore Snowdonia National Park. The HMC will be heading back to the peak district in march – staying in Castleton. More details to come soon. Lou Reynolds (R) leading the Intro to Mountaineering course with Mary-Ann on the left. Photo: Euan Ryan. That’s it for now….if we don’t see you in Little Langdale hope to see you at the pub social on 30 January. In November, the HMC went to Wales to hold the annual Banger and Mash trip to Snowdonia. Always very popular with the club, there was sausages galore and mountains of mash to be had followed by fireworks and games……and some mountain walking to work up an appetite. Heading for the hills this winter? Whether you’re a seasoned winter warrior or just taking your first icy steps, we’ve got a mountain of essential skills & equipment advice right here on the BMC website. Essential Winter Know How is a BMC website with good information on how to prepare for winter conditions in the hills. If you are heading to Edale or the trips in January and February, it is worth checking your gear is ready for the conditions and that you have the right clothing and equipment. If you are new to winter walking, this website is a good checklist to ensure you have the essentials. For the more experienced winter members, the BMC are offering a short course to ensure you know how to check your novices are winter ready. This popular BMC training event will be returning on 3-4 February 2018 – this time the BMC will be offering support to experienced club members when taking novice club members out in winter conditions. A grand old country house on the southern flanks of Kinder Scout, YHA Edale is one of the highest residences in the Peak District and has a view to match. The back garden is open access moorland! With the Great Ridge between Lose Hill and Mam Tor to the south and the Dark Peak moorland of the Kinder plateau to the north, not only is YHA Edale surrounded by stunning scenery but this area has a firm place in history – this open-access land was literally fought for. There are numerous footpaths into the hills, dales and moors and it is located in the very centre of the famous network of Dark Peak mountain bike cross country trails. All places have been secured and menu options issued to the YHA for the Xmas meal. To those who are going, have a great weekend. I hope that you have had an excellent year of adventures over 2017 with the HMC. From 1st January, your HMC subscription will be due in order to continue your existing membership of the club. 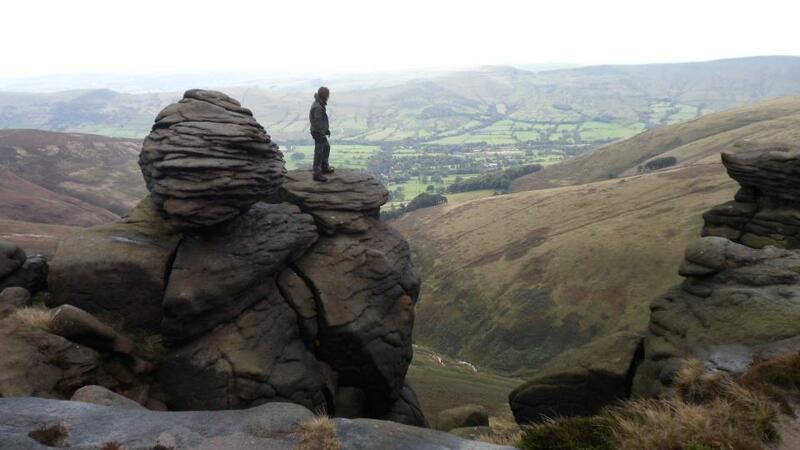 That’s it for now….if we don’t see you at Edale, have a great Christmas and hope to see you again in the New Year. Next pub social is on Tuesday 31 October at the Three Horseshoes from 8:30. The HMC pub social is at the Three Horseshoes as usual from 8.30pm in the main bar at the Three Horseshoes, 612 Hatfield Road, Smallford, St Albans, Hertfordshire AL4 0HP. Come along and have a catch up with fellow members, make arrangements for trips, talk about your last adventures and meet prospective members. We have secured 2 private rooms each with 6 bunks. A three course meal is being offered on Saturday night. Details of the meal options will be provided by the YHA and updated on this event in due course. Price for this event includes accommodation for two nights and the Saturday meal. Click here to book and view meal options. Hope to see you all at the pub social on Tuesday and in Wales for some Cadir Idris fun. Next pub social is on Tuesday 25 July at the Three Horseshoes from 8:30. In June we went to Swannage to enjoy some sea cliff climbing along the Jurassic Coast with some of the best sports climbing in the UK. Photos posted on the HMC Facebook Group by Steve Moore. We have secured an excellent campsite, with amazing views of the sea, with an easy walk into St Davids for various pub options. 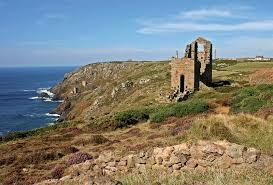 This area has amazing walks and also great sea cliff climbing, the campsite has great facilities including hot shower! For more information see their website: Croeso – Welcome to the Porthclais Farm Campsite! The HMC have been fortunate to secure the booking once again of this wonderful hut in a great location in Great Langdale Valley. Its ideally situated for a great weekend of walks up into the Central Fells (Crinkle Crags, Esk, Bowfell, Great End & Scafell). Climbing is also available on the crags over Old Dungeon Ghyll. Parking outside the hut for approximately 8 cars so do try to car share as much as possible. The nearest pub is about 10-15 minutes walk away: The New Dungeon Ghyll hotel and the Stickle Barn, which both serve good food and real ale. Next pub social is on Tuesday 27 June at the Three Horseshoes from 8:30. For the Spring Bank Holiday, the HMC went to the Patterdale to explore the hills around Helvellyn and St Sunday Crag. A new film was released showing the fun that was had – click here to watch the film. The Welsh Government plans to create new legislation regarding National Parks and Areas of Outstanding Natural Beauty (AONBs) in Wales. 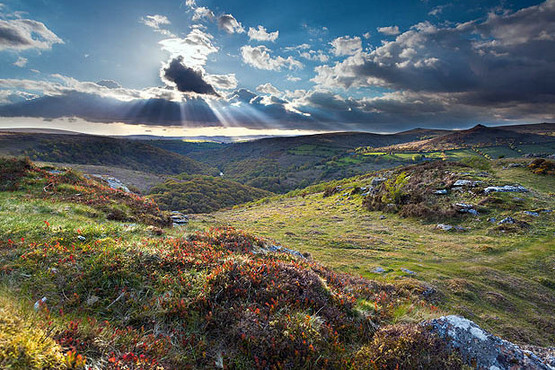 This would mean that it would change the legal framework for the Welsh National Parks to prioritise development of tourism, economic development and renewable energy, at the expense of the Parks’ existing status as bastions of unspoilt nature. Swannage – 9 June to 10 June – THIS WEEKEND COMING – Book now to secure your place! 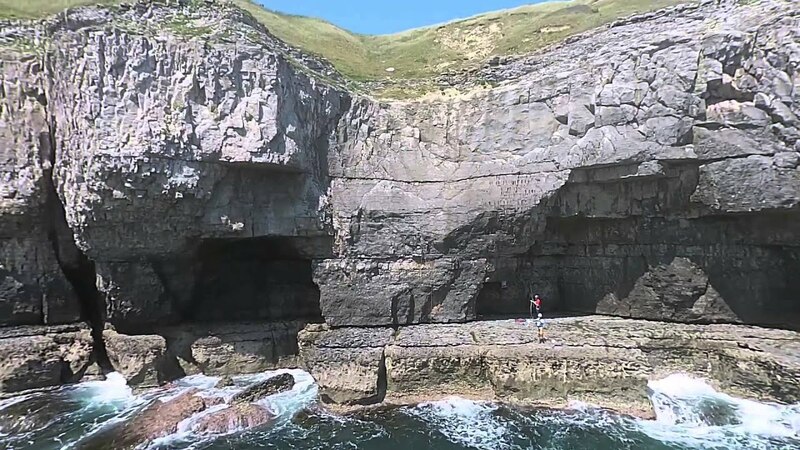 Come and enjoy some of the best sports climbing in the UK, or if your a walker, enjoy the Jurassic coast and the sea air. Staying at Woodyhyde Campsite, with good facilities and a relaxed atmosphere and a great location for the sea cliffs. 2018 Himalaya Trek – Everest Region – 3 high pass trail – I am planning a 3/4 week trek in the Himalaya around April 2018. There is a good video on You Tube which you can view here of the similar route but my suggested plan is to walk the traditional route from Jiri rather than fly direct to Lukla which makes this an epic 4 week trek rather than three weeks. For those that can’t commit to 4 weeks, a 3 week option is availbale to fly into Lukla and meet us in Namche. If this sounds interesting please contact thesecretary@thehmc.co.uk to find out more. Next pub social is on Tuesday 30 May at the Three Horseshoes from 8:30. Steve Deaville is in the early stages of planning a 4 week walking trip into the Himalaya in April 2018 taking in the three high passes of the Everest region. Come along and find out some details if interested. 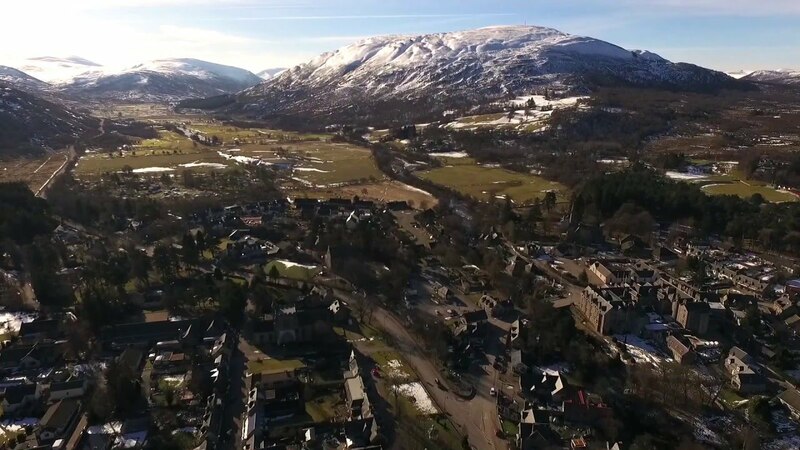 In April the HMC went to Scotland and enjoyed a glorious varied amount of weather in the spectacular Glen Coe A new film was released showing the fun that was had – click here to watch the film. Over the Mayday bank holiday, members went to Pembroke to climb the sea cliffs. The George Starkey Hut is in Patterdale near Ullswater, at the heart of the Lake District’s Eastern Fells. 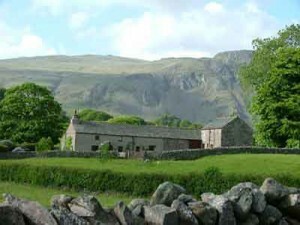 It is ideally placed for the High Street range to the East, whilst from the front there is a splendid view of Helvellyn and its neighbouring fells: to reach them, all you have to do is put on your boots and walk from the Hut.There is convenient local rock climbing at Castle Rock and Raven Crag in Thirlmere, Dove Crag in Dovedale, Scrubby Crag in Deepdale and Gowbarrow by Ullswater. Langdale and Dow Crag in the South West and Borrowdale to the North West are easily accessible. There are mountain biking opportunities from the front door, canoeing and sailing on Ullswater. 2018 Himalaya Trek – Everest Region – 3 high pass trail – I will be at the pub social on Tuesday 30 May to talk about a 4 week trek in the Himalaya around April 2018 that I am planning. There is a good video on You Tube which you can view here of the similar route but my suggested plan is to walk the traditional route from Jiri rather than fly direct to Lukla which makes this an epic 4 week trek rather than three weeks. If this sounds interesting please contact thesecretary@thehmc.co.uk to find out more.